Step into the shoes of a slick young lawyer in Apollo Justice: Ace Attorney – the fourth game in the thrilling courtroom series that puts your skills as a solicitor on trial. Featuring a cast of dynamic new characters and four fascinating cases for you to cut your teeth on, Apollo Justice: Ace Attorney brings all the drama of an action-packed crime thriller directly to your DS! The first game in the series crafted specifically for the DS, Apollo Justice: Ace Attorney puts you in charge of title character Apollo Justice at the outset of his legal career. 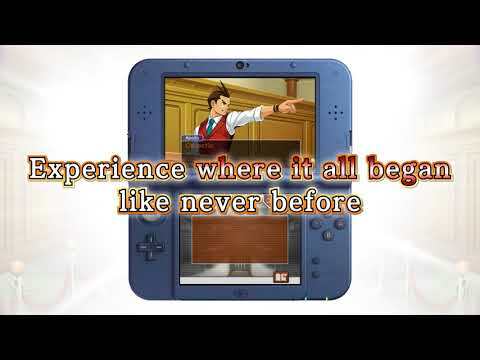 Controlling the game almost exclusively by pointing and clicking on the DS Touch Screen, you must guide Apollo through an investigation phase before defending clients in the courtroom. During the investigation phase you gather evidence by interviewing witnesses and scouring crime scenes for clues. After you’ve built a case, you must stand before a judge and defend the innocence of your client by cross-examining witnesses and revealing your findings. 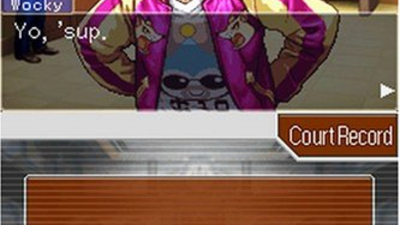 Whichever case you are working on, you can expect to become immersed in the deep and entertaining storylines that have become a trademark of the Ace Attorney games. 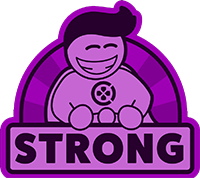 As well as introducing Apollo, the game marks the arrival of several more fascinating characters to the series. There’s Apollo’s assistant; the young magician Trucy, who’s mysterious powers can help you to tell when a witness is giving false evidence. 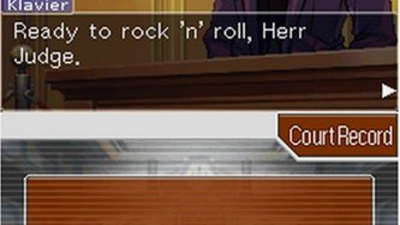 There are also brothers Klavier and Kristoph Gavin – one a rock star and ace prosecutor and the other a level-headed lawyer who is always on hand with helpful tips for Apollo. On top of that, you’ll cross paths with the star of the previous Ace Attorney games, Phoenix Wright, in the most dramatic of circumstances! In some of the toughest cases in the Ace Attorney series yet, you’ll have to unravel multi-layered mysteries, defend more seemingly in-defensible causes and even persuade a jury of your client’s innocence for the first time. And, as fans of the series know, no Ace Attorney game would be complete without the ability to intervene in proceedings by yelling “Objection!” or “Hold it!” into the DS microphone. So brush up on your legal skills and prepare for the bar to be raised as you seek the truth in Apollo Justice: Ace Attorney. Take control of rookie lawyer Apollo Justice as he investigates crimes and defends seemingly hopeless clients in the courtroom.Lose yourself in dramatic and amusing storylines, and meet colourful characters who may help or hinder you in your quest for the truth.Apollo Justice: Ace Attorney is the first game in the series developed specifically for Nintendo DS. If you've been struggling to get an original copy to finish your collection, then this remaster will answer your prayers, but it's hard to recommend Apollo Justice for any other reason.